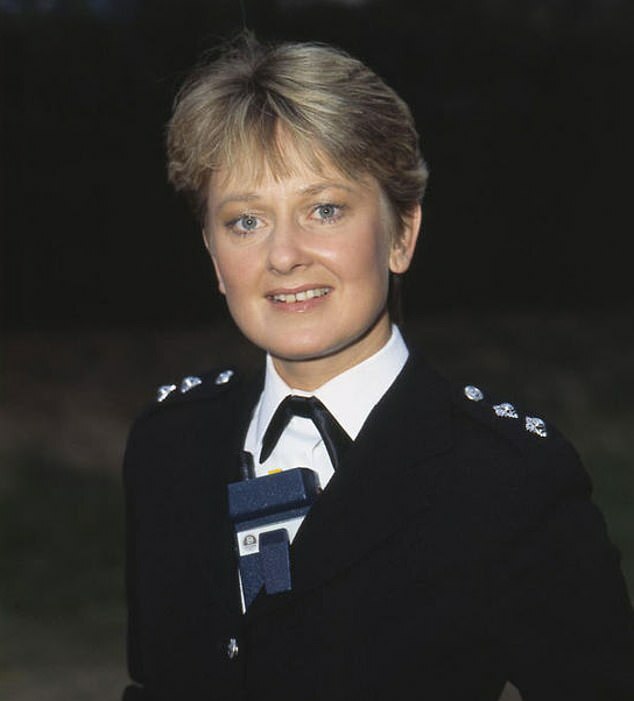 Actress Anna Carteret still gets stopped in the street by those who remember her fondly from the Eighties police drama Juliet Bravo. It was a groundbreaking series, one of the first to feature a female police chief. 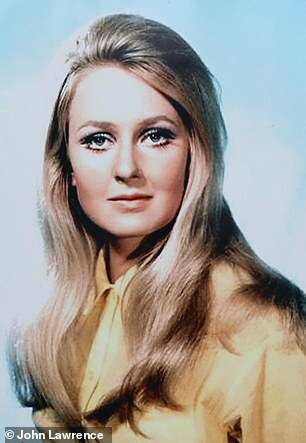 Anna had the lead role, as the no-nonsense inspector Kate Longton. But while she presented a tough, take-charge exterior on-screen, she was often in mental and emotional turmoil off-screen, due to the bipolar disorder that has plagued her since she was a teenager. For Anna it means that her mood swings between dizzying highs and crashing lows. 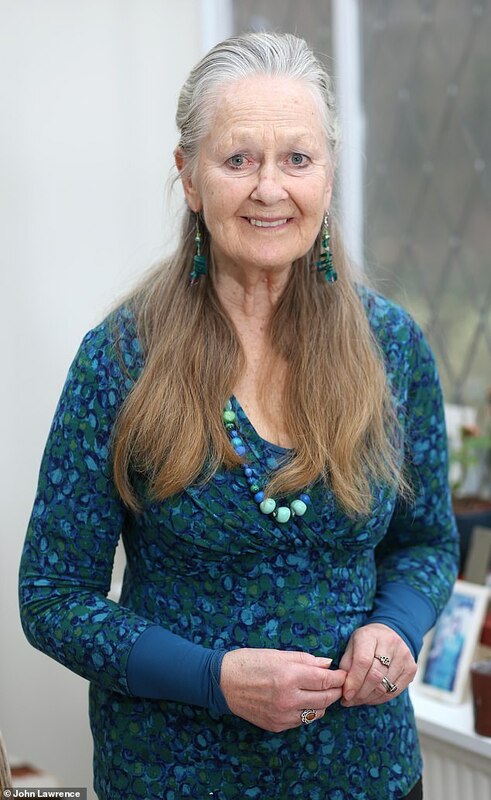 ‘At my worst if I was on a high, I’d do anything — strip naked at a party, jump into a swimming pool with my clothes on, and get into car crashes because I was driving too fast,’ says Anna, 76, who has never publicly spoken about her condition before. 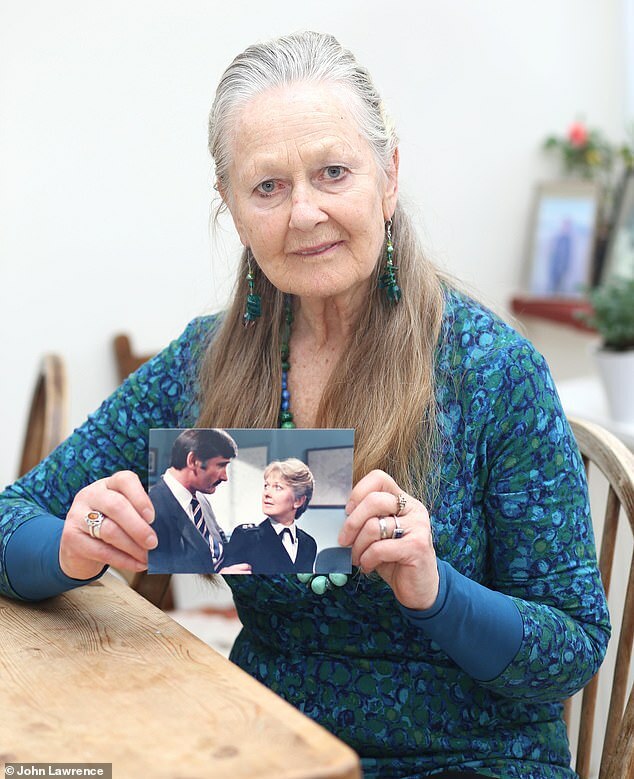 Her career — which included stage appearances alongside Laurence Olivier and more recently TV roles in Casualty, Lewis, Doctors and Holby City — became her salvation. ‘Acting saved my life, in a way,’ says Anna, who has two children with her late husband, the TV director Christopher Morahan, who died in 2017. Around 1.3 million people in the UK have bipolar disorder. The condition brings mood swings that can vary from despairing lows that may lead to feelings of hopelessness, guilt, sleeping excessively and having little interest in anything, to manic highs when those affected may, for example, appear overexcited, have little need for sleep or food, overspend, or indulge in other risky behaviour — as they often have feelings of being invincible, too. There are two main types of bipolar disorder: type 1, which causes more manic phases; and type 2, which causes more pronounced periods of depression. Anna is unsure which she has, but finds the highs easier to cope with than the lows. Quite why people develop bipolar disorder is not clear cut. In some cases, it is thought brain chemistry may be to blame, while traumatic life events such as losing a parent can act as the trigger. However, the strongest causal factor is genetic: a child of one parent with bipolar disorder has a 15 to 30 per cent chance of having it. Anna believes hers was inherited from her mother who also had it. She spent most of her childhood in boarding school — her parents were largely abroad due to her father’s Army career — so she has little memory of her mother’s mood swings. ‘I didn’t live with my mother enough to be aware of her condition, although obviously I noticed when she wasn’t as bubbly as she normally was,’ she says. When Anna started to experience bipolar symptoms as a teenager, she had no idea what it was. ‘In those days it wasn’t so known about and I didn’t realise that’s what was affecting me,’ she says. Many with bipolar disorder experience a delay in diagnosis — the National Institute for Health and Care Excellence (NICE) says a time lag of six years between the onset of symptoms and treatment is typical, although charities such as Bipolar UK say a delay of a decade or more is not uncommon. Part of the problem is that often symptoms begin during the teen years — when youngsters may undergo mood swings anyway. ‘The first symptoms may emerge when a teenager becomes depressed or anxious, which are not symptoms specific to bipolar disorder,’ says Guy Goodwin, a professor of psychiatry at the University of Oxford. Treatment may involve talking therapies such as cognitive behavioural therapy, but most people with bipolar need medication, too. ‘The ideal combination of medicines stops the ups and downs, what we call mood stabilisation,’ says Professor Goodwin. Anna takes a combination of mood stabilisers — Priadel, which contains lithium; quetiapine, an antipsychotic; and the anti-depressant mirtazapine. She also takes a thyroid medication, levothyroxine — a side-effect of lithium is that it affects thyroid function and so patients require a hormone replacement medication, says Professor Goodwin. ‘Taking medications ensures the lows are not as low and the highs not as high, which is great, but you do feel a bit dumbed down sometimes — but I’ve never struggled to remember lines,’ says Anna. Taking medications ensures the lows are not as low and the highs not as high, which is great, but you do feel a bit dumbed-down sometimes — but I’ve never struggled to remember lines. She also takes irbesartan for hypertension, because people with bipolar disorder have higher rates of heart disease, although Professor Goodwin says the link is not clearly understood. Anna is relieved that her daughters, Rebecca, who works for Fairtrade, and Hattie, an actress — show no signs of having inherited their mother’s condition — both are in their 40s, beyond the age that symptoms normally begin. Anna took great steps to try to ensure their childhood was unaffected by her illness. Now, Anna’s daughters ring her daily from London and visit frequently, bringing with them Anna’s two young grandchildren. Anna’s husband too was ‘very understanding’ but she avoided discussing her illness even with many friends. 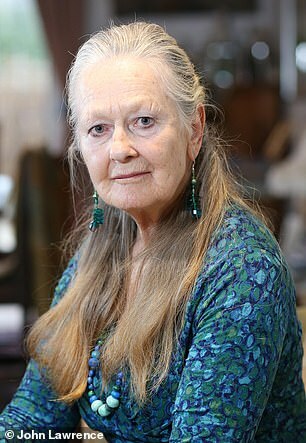 However she did discuss it with one — the actor Stephen Fry, who was diagnosed with bipolar disorder aged 37. Anna credits his openness about the diagnosis with helping to remove much of the stigma attached to the condition. When Christopher died, Stephen flew over from Canada, where he was working, to speak at the memorial service. ‘It meant so much to me,’ says Anna. Anna is a textbook example of how with the right help those with bipolar disorder can lead lives of relative normality — she had a long and happy marriage, brought up a family and forged a successful career. She hopes she can inspire others in her position. WHAT EVIDENCE DO WE HAVE OF ROBERT BURNS’ MOOD SWINGS? Scotland’s national bard Robert Burns may have had bipolar disorder, according to a study of 800 of his private letters and journals. Researchers said the poet’s moods flipped between ‘depression and hypomania’ – which could explain his periods of intense creativity and unstable love life. Here are some extracts from his letters that were used by researchers from the University of Glasgow to come to this conclusion. – During this time Burns was living in Dumfries and it was generally a time of melancholia. Burns says he is feeling ‘altogether Novemberish, a damn’d melange of Fretfulness and melancholy…my soul flouncing & fluttering’. ‘I am in a compleat [sic] Decemberish humour, gloomy, sullen, stupid’, he wrote. – This could be interpreted as a period of hypomania when Burns tends to exaggerate and self-aggrandise. Burns describes himself as a man of ‘independent fortune at the plough-tail’. He said he is ‘in a fair way of becoming as eminent as Thomas a Kempis or John Bunyan’ and ‘shall soon be the tenth Worthy, and the eighth Wise Man, of the World’. Burns believes his birthday should be remembered in a similar way to the Battle at Bothwell Bridge. – This is a period of great physical and creativity activity for the poet, demonstrated by ‘hypomanic’ letters. During one week the poet rode around 200 miles in four days and also attended a court case in Dumfries. He wandered the banks of the River Nith and produced free-flowing verses, saying ‘to keep within the bounds of Prose was impossible’. – These letters show signs of hypomania but researchers do not believe it to be a true episode. Burns was living in Dumfries with his wife and five children. He was heavily involved in writing and editing songs for the Edinburgh publisher George Thomson. He was writing on average 0.9 letters per week. There were no extracts from this period included in the paper, published in The Journal of the Royal College of Physicians of Edinburgh.